What’s Behind the Failure to Screen Temporary Workers? Temporary, contingent, and contract workers currently make up more than one-quarter of the entire workforce population—up nearly 10% since 2009. According to the U.S. Department of Labor this so called “extended workforce” is among the fastest growing segment of workers, predicted to increase 23% from 2010 to 2020. This growing and increasingly important segment of the workforce offers numerous benefits to companies, including the ability to provide flexibility, specialized skills, innovation, and labor cost control. On the flip side, like any traditional employee, these workers also bring with them a significant set of risks. Still, studies have shown that a surprising majority of companies fail to uphold the same screening requirements of their contingent workers as they do of their traditional employees. 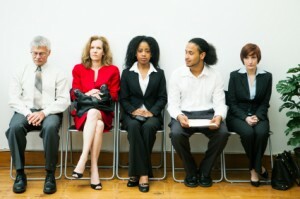 According to some reports just 35% of companies require background checks of their temporary workforce. On the other hand, 90% of corporate America requires background screening of their traditional employees. The assumption of many employers is that the responsibility for screening temporary workers rests with the placing organization—the temp agency, staffing firm, contractor, etc. In fact, many employers believe that they can bypass the threat of litigation for negligent hiring or tort liability by using workers who are screened elsewhere when, in reality, companies should assume that regardless of the party with ultimate responsibility for the acts of contingent workers, the company that worker is “representing” bears the most risk. When an employer fails to ensure that the agency supplying its contingent workforce is diligently screening its workers, the liability for negligent hiring could transfer directly to the organization. Furthermore, many organizations wrongly assume that when a staffing vendor says they’re doing background checks on their employees, they’re doing a thorough or accurate job. If an employer chooses to rely on background checks that are lacking in completeness, or fail to conform to best practices for accuracy and fairness, they are putting themselves at risk. In a nutshell, employers should require the same screening of their contingent workers as they do of their regular full time workers and should take full responsibility for ensuring this level of screening takes place. If allowing your staffing vendor to manage background screening for the workers they provide to your organization, it is important to establish a clear contractual obligation to ensure these workers are screened at the required level. Include your workforce screening policy in the agreement and require the vendor to provide proof that the required standards are being met. Occupational fraud, theft, workplace violence—these and a host of other risks all tend to begin and end with people; temporary workers are no exception since often times these workers have the same access to employee assets as any traditional employee would. Regardless of the party with ultimate responsibility for the acts of contingent workers, the company the worker is representing stands to lose in more ways than one. One risk, in particular, is the risk of discriminatory hiring on the part of a company’s staffing vendor. Note that the hiring practices of a staffing vendor are often perceived as one and the same as the practices of the hiring organization. When those practices are intentionally or unintentionally discriminatory, they will reflect poorly on both the staffing vendor and the company the worker will ultimately represent. Criminal records checks, in particular, are increasingly viewed as a barrier to employment that requires greater enforcement of civil rights and consumer protections. The EEOC has taken significant enforcement action around the use of criminal records in hiring because without proper practices and policies in place, an employer runs a high risk of discriminating against certain protected classes. Close examination and oversight of outside vendor screening practices are needed to avoid intentional and unintentional discrimination. Simply put, many organizations simply fail to revisit their background screening practices at regular intervals in order to keep pace with changing workforce dynamics and risks. However, the mindset of “this is how we’ve always done it” or “nothing bad has happened yet” just isn’t responsible. The rise of the extended workforce in recent years, coupled with increasing compliance-related enforcement activity by the EEOC, FTC, and others, makes it prudent for employers to evaluate and update their screening policies. Questionable hiring practices just don’t slip under the radar like they used to and the damage to brand and reputation caused by outdated screening practices can be significant. The extended workforce plays an increasingly important role in the employment landscape and organizations are recognizing that regardless of the payroll category a worker may fall under, it is a simple matter of smart risk management to make certain all workers in similar roles are held to the same screening criteria. Closing the risk and security loophole by instituting a clear and well-managed extended workforce screening program can help your organization minimize the risks and reap the rewards of this flexible, skilled, and cost effective mode of staffing.